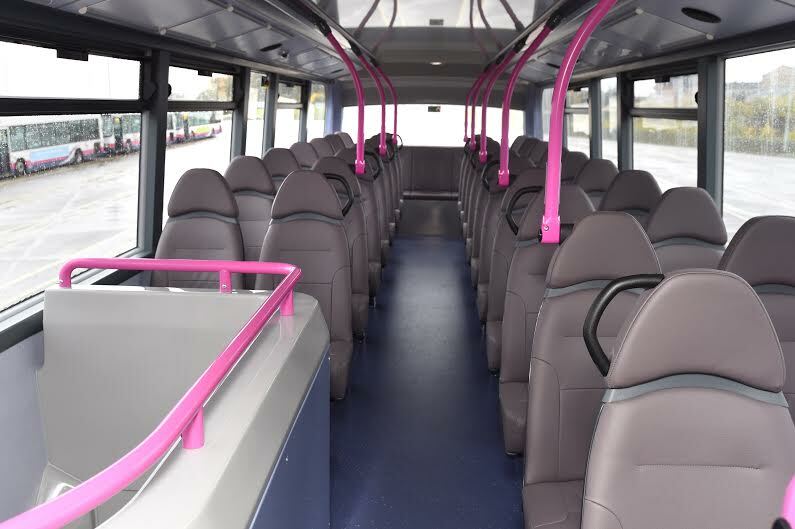 Bus passengers in Scotland will soon be travelling on some of the newest and most advanced buses in the country as Scotland’s largest operator First Bus welcomes state-of-the-art new vehicles into its fleet. Derek Mackay, Minister for Transport and Islands, gave a selection of double decker buses his official seal of approval at First’s Caledonia depot as they arrived fresh from the production line, one year on from its official opening as the biggest bus depot in the UK. 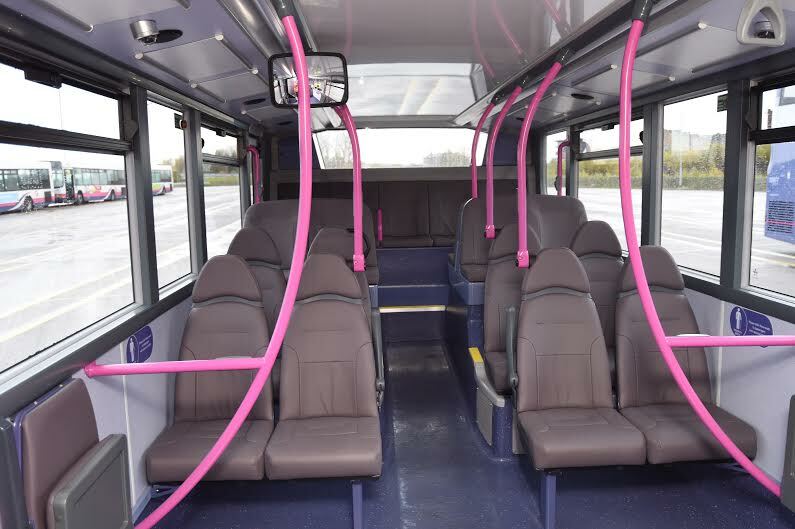 The new vehicles are the result of a £14million investment in the First Glasgow fleet in 2015 and all come fitted with leather seats, CCTV and Wi-Fi, providing customers with free internet access during their journey. They feature dedicated space for wheelchair users as well as extra space for pushchairs. In addition, the vehicles are all Department for Transport ‘low carbon certified’, making them among the most fuel efficient buses on the market. They all carry advanced Euro 6 engines, a strong commitment to improving air quality across the region. 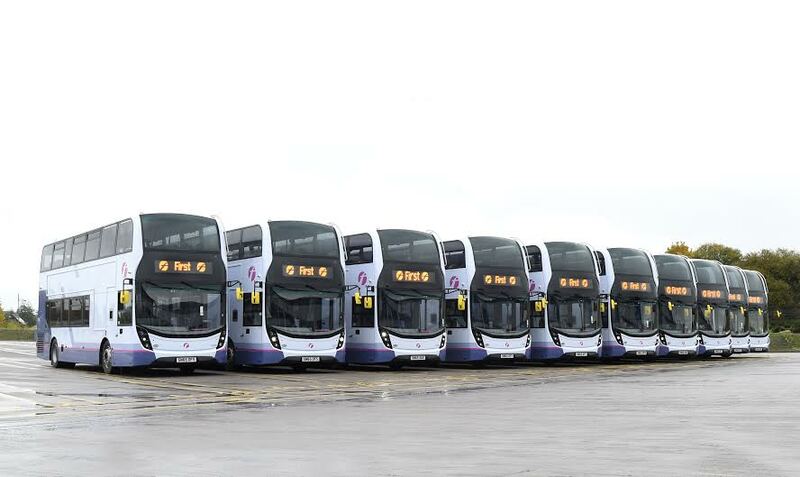 The investment in new vehicles reflects First Glasgow’s position as the biggest bus company in Scotland and is helping to support hundreds of Scottish jobs, with all vehicles manufactured by the Falkirk-based firm ADL. Of the £14million invested this year, £7.4million has been committed to 47 state-of-the-art green vehicles, supported by the Scottish Government's Green Bus Fund. Fiona Kerr, Managing Director of First Glasgow, said: “These new vehicles will be among the best and most eco-friendly in the country and I’m delighted to have the Transport Minster see first-hand the improvements we are putting in place for our passengers. 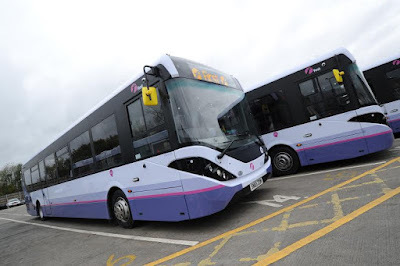 “Our continuing drive to upgrade our fleet and provide improvements on board, from wider aisles for wheelchairs and buggies to free wifi to keep people connected on the move, underlines our continuing determination to provide the best possible services in our area and ultimately encourage more people to travel by bus. 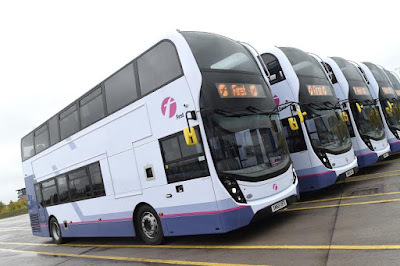 First Glasgow has introduced 300 new vehicles in the past three years, significantly upgrading its fleet through an investment programme totalling over £65million. Meanwhile Bus passengers in Lanarkshire will soon be travelling on some of the newest buses in country with the introduction of new modern single deck vehicles. Lanarkshire’s new single deckers all come fitted with leather seats, CCTV and Wi-Fi providing customers with free internet access during their journey. In addition to the dedicated space for wheelchair users, they also feature extra space for pushchairs. They’ve already been delivered to local depots in Blantyre and Overton and First has confirmed they will operate on Service 226, serving Hillhouse – Hamilton Town Centre – Fairhill, and Service 240 serving Carluke, Pather, Overtown, Motherwell and operates to Glasgow. The new buses are all Department for Transport ‘low carbon certified’, making them among the most fuel efficient buses on the market. All the new vehicles are being fitted with Euro 6 engines, a strong commitment to improving air quality across the region. Margaret Mayer, First Glasgow’s Business Director (Lanarkshire) said: “It’s great news for our customers to see these new vehicles take to the road. We’re working hard to improve our Lanarkshire services, with great value fares and free wifi now on board many of our buses. an 87% reduction in Particulate Matter emissions.